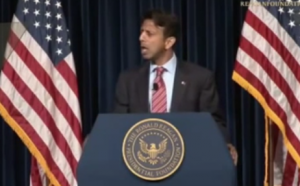 After talking about the ObamaCare mandate and the assault on conscience, Jindal turned to marriage. “This is the next stage of the assault, and it is only beginning. Today, an overwhelming majority of those who belong to a religious denomination in America — that’s more than half the country — are members of organizations that affirm the traditional definition of marriage. All of those denominations will be targeted in large and small degrees in the coming years.” At times fiery and other times contemplative, the speech was a breath of fresh air in a political world crowded by weak-willed people pleasers. It was a fitting place for such a principled display — there, surrounded by the reminders of Ronald Reagan’s greatness. Even if the majority of religious denominations still don’t support full equality — I won’t grant that the majority of religious Americans are still anti-gay — what about the religious freedom of those millions who do support equality? 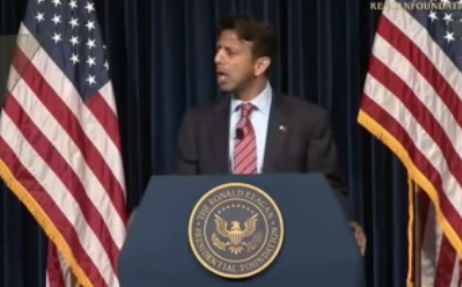 Oh wait, in Tony Perkins’ and Bobby Jindal’s world, those people aren’t true believers and therefore do not count.